Q: What made you interested in becoming a pastry chef? A: Baking with my mom when we lived in Johannesburg, South Africa. That’s where it all started! Q: What kind of training did you have? A: I attended the Wilton School of Cake Decorating, Valrhona En Route Courses, New School of Cooking & Chef Eric’s Culinary Classroom. Q: What kind of pastries will you be serving at The Sweet Hour? A: Budino‘s topped with Créme Fraîche , Carrot Cake Cupcakes, Chocolate Bark, S’mores Cupcakes, Beignets, and a variety of Ice Creams. Q: What are the drink specials you will be serving? A: Fresh Lemonade, Virgin Pinã Colada, and Fruit Smoothies. Q: Will you have vegan and gluten free options? A: Yes, all of the Cupcakes, Ice Creams and Beignets are vegan! There will be some gluten free cupcakes as well. Q: What kind of flavors do you like to experiment with? A: I love experimenting with fruit flavors, seeing which fruits pair together well. Q: What makes your pastries unique? A: Majority of my pastries are vegan and people can’t believe they’re vegan. I do not tell them they’re vegan until after they have eaten it. The reaction when I tell them is always great. Q: What is the next Cronuts? Q: What has been your greatest triumph as a chef? 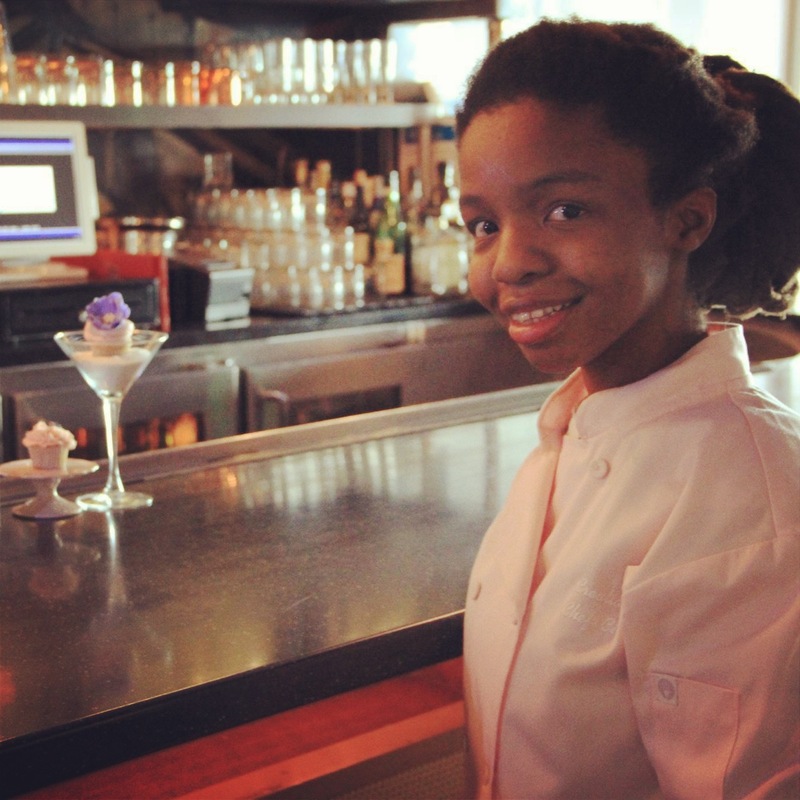 A: It would have to be interning at Mélisse, a 2 Michelin star restaurant in Santa Monica. I honestly did not see myself ending up there. I’m very thankful for the opportunity, it’s really great. Q: If a person was only going to try one desert at The Sweet Hour, what would you recommend? A: The Carrot Cupcake with a Pecan praline and Vanilla ice cream.